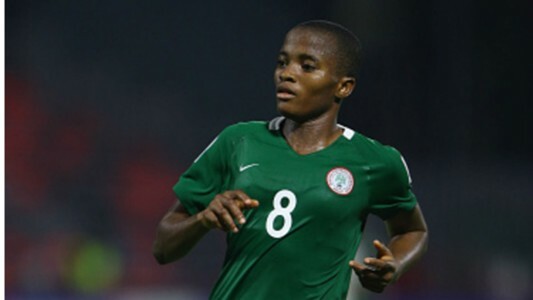 Nigeria’s women U20 national team, the Falconets are one step closer to qualifying for the World Cup in France after a 2-0 win over the Basetsana in Polokwane on Saturday. It was a brilliant performance from the Nigerian girls as their hosts could find no answer to the fire power of the Chris Danjuma’s maidens. Usual suspect Rasheedat Ajibade, the Falconets’ top scorer in this qualifying series, showed shrewdness and great ball sense in beating the home team’s goalkeeper for Nigeria’s first goal on the half –hour, and Anam Imo increased the tally for the two –time World Cup silver medallists six minutes later. The Basetsana tried to find a way back into the game in the second period, only to meet an impregnable wall at the Nigerian rear. 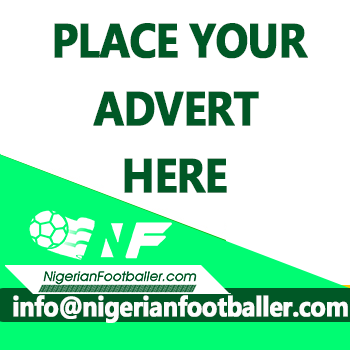 Goalkeeper Cynthia Nnadozie was well –protected by Sunday Opeyemi, Christy Ucheibe, Mary Ologbosere and Kemi Famuditi. Glory Ogbonna, Bashirat Amoo, Grace Igboamalu, Imo, Ajibade and Folashade Ijamilusi all impressed at the Old Peter Mokaba Stadium. Showing impressive dexterity and guile (which had seen them past Tanzania and Morocco earlier in the series), Coach Danjuma’s ladies threw everything at the home girls right from kick off, and will retain confidence of picking a ticket to the FIFA U20 Women’s World Cup France 2018 after the concluding encounter in Benin City in a forthnight. The return is scheduled for the Samuel Ogbemudia Stadium, Benin City on Saturday, 27th January 2018. The 9th FIFA U20 Women’s World Cup finals will hold in France 7th – 26th August 2018.